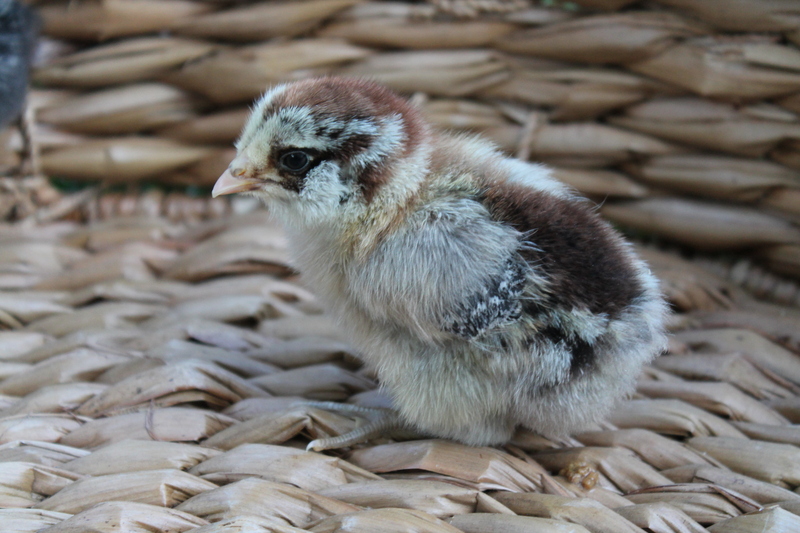 I had absolutely no idea how much personality is lurking inside a few day old chick. We’ve been checking on the little ladies obsessively. I ask Jay the same questions every time we go to see what they are up to. Do you think they are too hot? Do you think they are too cold? Holy buckets, these little things produce a lot of poo. Should we clean out their bedding? Is that poo or food in their water? Are they eating enough? Are they drinking enough? Man alive, I can’t believe how much poo comes out of these tiny bodies. Names are important to me. My names come from my grandmothers. I lived on Henry Street in college, hence the name of my Westie. So when the chicks came home to roost, they too needed titles. Names that mean something. 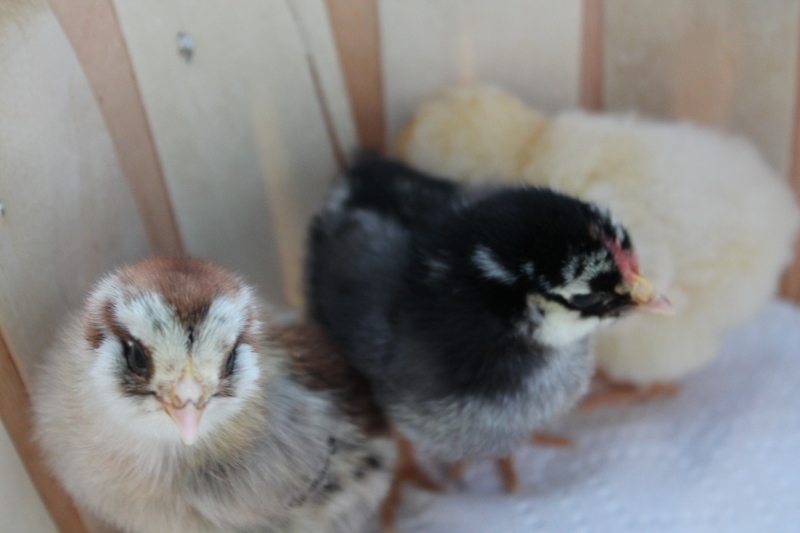 These little chicks will grow into hens. Most days, they will lay precious eggs which we will take. Those eggs will nourish us. 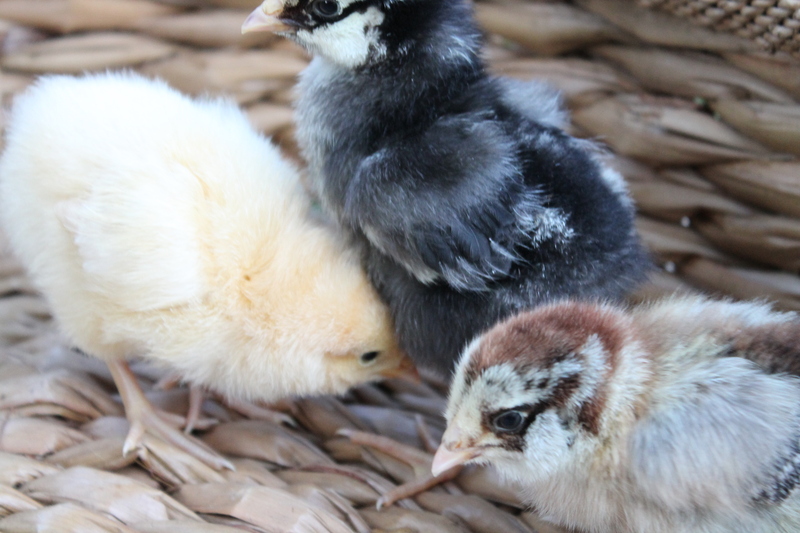 I decided it’s only fitting that these chickens be named after women who have taken care of us and who we love. The day we picked up the chicks, we went out for the night with friends. At about 11 o’clock, we decided to call it a night and relax with a movie. But before we picked a flick on Netflix, we went downstairs to make sure all was well in chick land. They seemed lethargic when we first peeked in on them, but then the action started. And instead of putting in a movie, Jay and I pulled up a couple of chairs and sat down for an episode of Chicken TV. And let me tell you, it didn’t disappoint. It’s like a reality TV show shot through a light red filter (the heat lamp). Instead of watching a flat screen, the pictures appear in a plastic storage bin in the basement. Pop some popcorn, crack open a beer and let the entertainment envelope you. First up, there’s Rozzy the Americauna, named after Jay’s mom Rosalind Reimers. She’s very interested in what’s happening outside the brooder. She pecks at the paper towels lining the bottom of the bin. She pecks at the sides of the container. She wants to know exactly what’s going on out there. And to our immense delight, she’s the only one of our flock who will close her little eyes and settle in for a light nap in your hand if you softly pet the back of her head and neck. Then there’s MaryAnne. 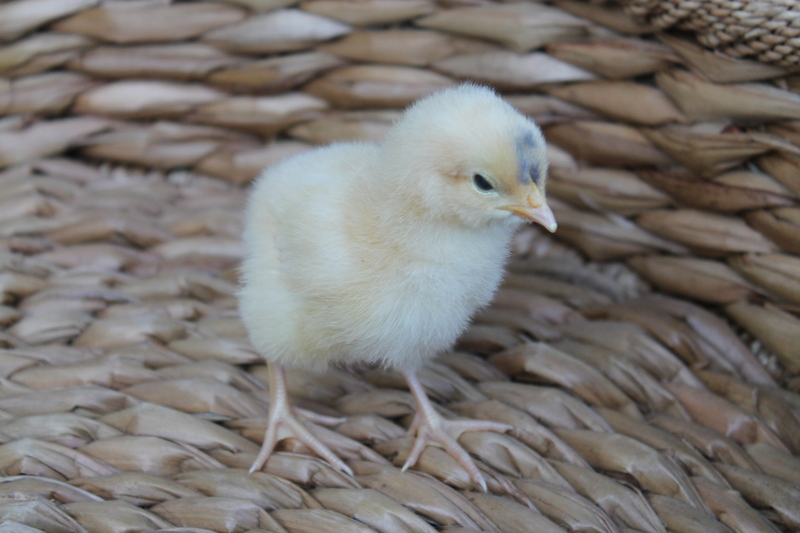 This golden yellow ball of fluff is the Buff Orpington who goes by the middle names of my sisters, Katie and Jenny. She’s the biggest of the bunch and also seems to be the slowest. And she has a little bit of junk in the trunk, if you know what I’m saying. But she also has a quiet sweetness and thoughtfulness about her. Within minutes of seeing the chicks in action, you understand why experts say you should never bring home one lone bird. The babies love to be right next to each other. When one moves to another area of the brooder, the others follow. When one is eating, the others won’t be further away than the water dish. They crave the comfort of the flock. But there’s no question, Susie Q is running the show in there. She was the loudest squawker on the way home from the farm store and during her first hours in the brooder. It’s fascinating to see MaryAnne and Rozzy belly up to the feeder and peck away at the tiny, taupe food pellets. It’s at that very moment, like clockwork, when Susie Q barrels in. She climbs onto the feeder and wedges her way between the other chicks and the mason jar holding the food, covering the access holes with her black and white body. Every. Single. Time. It’s hilarious to watch, although I have to say, Susie’s namesake is a little shocked by this behavior. My mom Susie is incredibly thoughtful and caring and would never push others away from food. However, she is an extremely loud phone talker, so maybe that’s where Susie Q the chick gets her pipes. But the highlight of any Chicken TV viewing party is sleepy time. This is when, one after another, the fluffy birds start to teeter. They wobble ever so slightly, relaxing every part of their small bodies. And then, like that Snuggle fabric softener bear in a pile of freshly washed towels, the chicks gently fall over and into sleep. 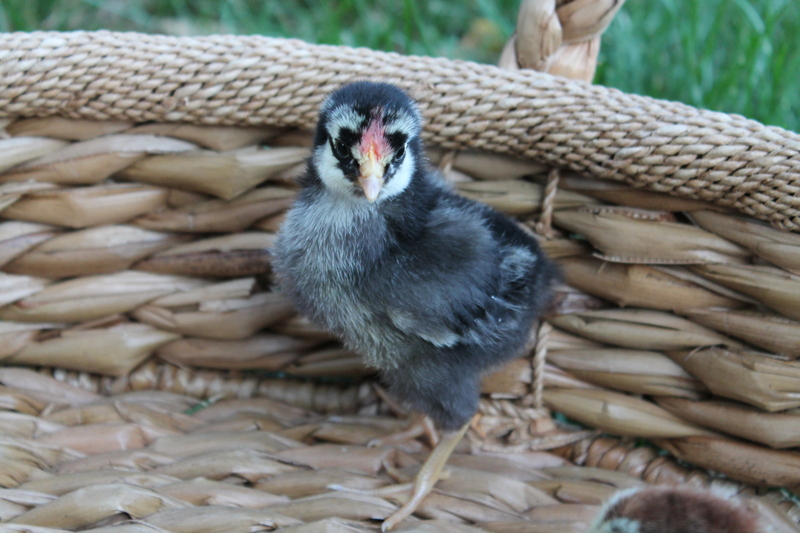 Susie Q even tumbles forward, neck pressed against the floor of the brooder and wings splayed out to the sides. A peaceful sight. 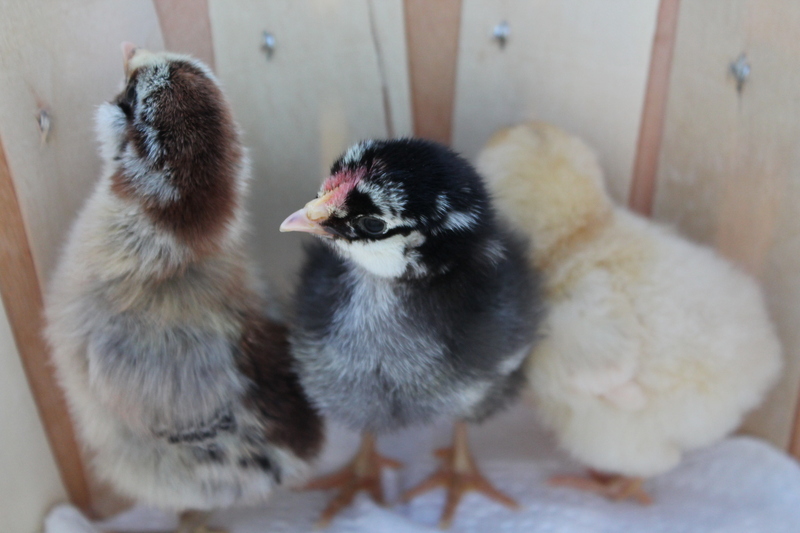 These chicks are here to stay, so we’ll have all-new episodes of Chicken TV on the Home to Homestead Network all summer long! Thanks for watching! So fun to read about the 1st episode of Chicken TV. Oh yes keep their floor clean. They are so cute, love your Blog!! Thanks for sharing their antics, it is such a delight! So cute, all baby animals are so very entertaining. I’ve had baby goats, horses, calves, kittens and puppies. Spent many hours watching them. Love the way you tell the story. This is such a fun blog to read! Thanks for sharing it put a big smile on my face. I love when they fall asleep and look like they (excuse the bluntness) died. So you make a little movement to make sure, then they wake up! Whew, all is well! Love reading your blogs! you are one busy chicka! love me some chickens too! they are my fav little farm animal! Elizabeth, I would love to see pictures of your chicken coop! I would love to have urban chickens as I grew up raising chickens! How do you plan to winterize your coop? Love the chickens, what is the brown furry animal that sits in the coop,it doesn’t move unless the door is closed? It might have been a squirrel! We’ve had a couple of squirrel casualties out there lately.